Viewpoint's annual Users Conference is scheduled for September 14-17, 2015 in their corporate backyard, Portland, Oregon. If you are attending, come see our team members will be there as well, both demonstrating our application in the Exhibit Hall and Delivering a Product Showcase. Repeat Job Provides Comparison Data and $60,000 to the Bottom Line! 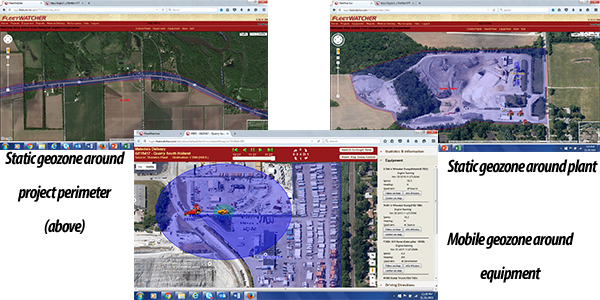 When the management at Gallagher Asphalt made the decision to purchase Fleetwatcher, they expected immediate results. So when a "repeat" paving job was kicked-off, management knew this would be an opportunity for a good comparison. "Each year, a village near Chicago paves several roads, typically taking 5-6 weeks to complete. We did this job last year and were doing what was essentially the same job this year - same number of streets, same mix, same distance, same bid. The only difference was having Fleetwatcher installed," says Jonkman. The result? Last year, Gallagher finished the job $60,000 over budget on trucking costs. This year, the company finished $500 under budget! Earthwave Technologies' CEO, Larry Baker, has been tapped to present at B2W Software's Executive Technology Summit at their User Conference 2015. Baker, as well as B2W COO, Kevin Brown will discuss current technology trends in the construction industry. Baker has been asked to share his insights on telematics and how the use of telematics data can benefit companies. Format: The B2W Partner Peer Groups will serve as an opportunity for B2W Software and its partners to meet with end-users and discuss ways these strategic partnerships benefit them. It will also serve as an informal opportunity for partners and B2W to learn what end-users are looking for. Earthwave Technologies is attending the Illinois Bituminous Paving Conference in Champaign, Illinois on February 2-3, 2015. We'll be demonstrating our Material Delivery Solution for paving contractors to show how the use of our load cycle analysis and automated shift ticket application can have a tremendous impact on your paving operations. Lanham, Md. — Earthwave Technologies Inc., Indianapolis, Ind., has been elected to the Associate membership of the National Asphalt Pavement Association (NAPA). Larry Baker, Vice President-Sales/CEO, has been designated as the authorized representative to the association.